EUROTEC, EUROTEC VERTICAL FLIGHT SOLUTIONS, LLC, EUROTEC VFS, LLC, EUROTEC VFS and other marks, logos, icons, slogans, tradenames or tradedress (collectively "trademarks") of EuroTec Vertical Flight Solutions, LLC are registered and/or unregistered trademarks of EuroTec Vertical Flight Solutions, LLC or its subsidiaries in the United States and/or in other countries. EuroTec Vertical Flight Solutions, LLC trademarks may not be used in connection with any product or service that is not EuroTec’s, in any manner that is likely to cause confusion among customers, or in any manner that disparages or discredits EuroTec Vertical Flight Solutions, LLC. For any warranty claims, please submit, with the part, a completed warranty claim form to be considered for warranty repair. 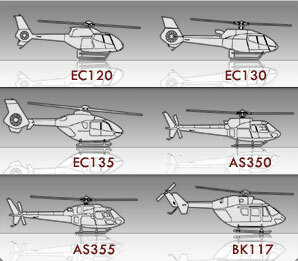 All content included on this site, such as text, graphics, logos, button icons, images, audio/video clips, digital downloads, data compilations, and software, is the property of EuroTec Vertical Flight Solutions, LLC or other sources and are protected by United States and international copyright laws. The compilation of all content on this site is the exclusive property of EuroTec Vertical Flight Solutions, LLC and protected by U.S. and international copyright laws. All software used on this site is the property of EuroTec Vertical Flight Solutions, LLC and protected by United States and international copyright laws. EuroTec Vertical Flight Solutions, LLC grants you a limited license to access and make personal use of this site and not to download (other than page caching) or modify it, or any portion of it, except with express written consent of EuroTec Vertical Flight Solutions. This license does not include any resale or commercial use of this site or its contents; any collection and use of any listings, descriptions, or prices; any derivative use of this site or its contents; or any use of data mining, robots, or similar data gathering and extraction tools. This site or any portion of this site may not be reproduced, duplicated, copied, sold, resold, visited, or otherwise exploited for any commercial purpose without express written consent of EuroTec Vertical Flight Solutions, LLC. You may not frame or utilize framing techniques to enclose any trademark, logo, or other proprietary information (including images, text, page layout, or form) of EuroTec Vertical Flight Solutions, LLC and our affiliates without express written consent. You may not use any meta tags or any other "hidden text" utilizing EuroTec’s name or trademarks without the express written consent of EuroTec Vertical Flight Solutions, LLC. Any unauthorized use terminates the permission or license granted by EuroTec Vertical Flight Solutions, LLC. You are granted a limited, revocable, and nonexclusive right to create a hyperlink to the home page of EuroTec Vertical Flight Solutions, LLC so long as the link does not portray EuroTec, its affiliates, or their products or services in a false, misleading, derogatory, or otherwise offensive matter. You may not use any EuroTec Vertical Flight Solutions, LLC logo or other proprietary graphic or trademark as part of the link without express written permission. The eurotecvfs.com site may contain links to sites owned or operated by parties other than EuroTec Vertical Flight Solutions, LLC. Such links are provided for your convenience only. EuroTec does not control, and is not responsible for, the content or privacy policies on, or the security of, such sites. Without limiting the foregoing, EuroTec Vertical Flight Solutions, LLC specifically disclaims any responsibility if such sites: infringe any third party's intellectual property rights; are inaccurate, incomplete or misleading; are not merchantable or fit for a particular purpose; do not provide adequate security and privacy; contain viruses or other items of a destructive nature; or are libelous or defamatory. Neither does EuroTec Vertical Flight Solutions, LLC endorse the content, or any products or services available, on such sites. If you establish a link to such sites, you do so at your own risk and without the permission of EuroTec Vertical Flight Solutions, LLC. Life Air, Inc. provides fast, accurate, and professional helicopter transportation to the medical and law enforcement industries. Currently, Life Air, Inc. is operating 5 helicopters.